This salad is truly addictive, trust me. There’s something about the crunchy ingredients combined with the rich Asian flavours that makes you want more and more! Another wonderful feature of this salad is that it stands the test of time. You can make it the day before, or have it the next day for leftovers. It doesn’t go mushy like other salads. 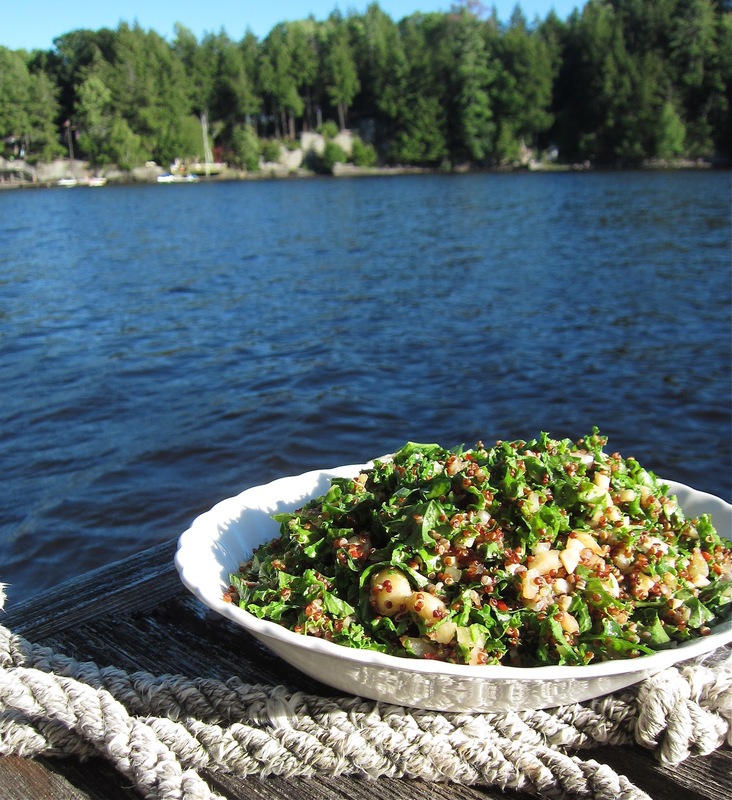 This may become your new favourite way to enjoy kale! When I first began messing with this new recipe I made it without the water chestnuts and chili peppers, so you can do that too. Adding them kicks it up to a new level that I think you’ll enjoy! This may become your new favourite way to enjoy kale! 1 can water chestnuts (8 fl oz), chopped. About 1 cup. 2 red thai chili peppers, finely diced. About 1 tablespoon. Toss the salad ingredients together in a large mixing bowl. Whisk together the dressing ingredients in a separate bowl, then toss into your salad. Serve room temperature, or refrigerate unused portions (if there are any, hee hee) for next day munching! This recipe is courtesy of our friend Erin Spencer of the Toronto-based Dirty Girl Urban Gardening Webseries. Subscribe and watch episodes on the Dirty Girl YouTube channel, and follow Erin on Twitter @DirtyGirlWeb. Do you need wholesale produce for your retail store, market or restaurant? Or wholesale fruits and vegetables for your catered event in the Greater Toronto Area? Contact us. Food quality and food safety are our biggest priorities.